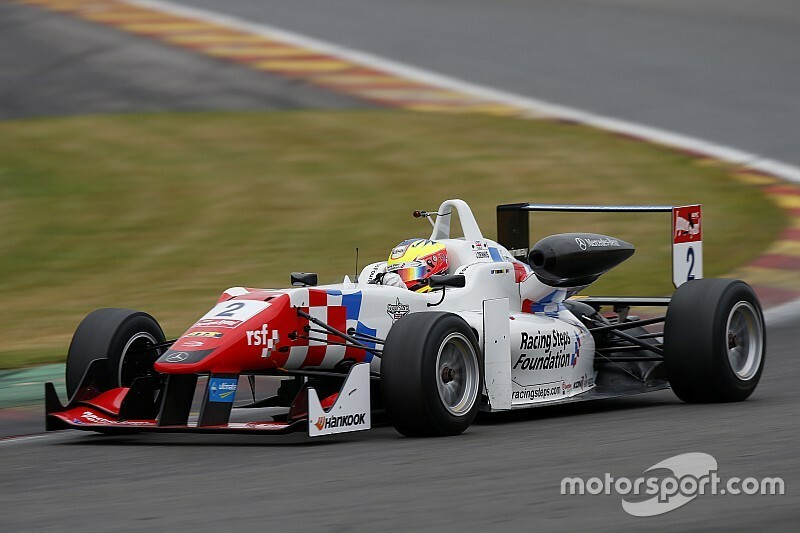 Jake Dennis clinched a second successive European Formula 3 win in the damp at Spa, hanging on from Charles Leclerc at the end of an eventful race led at one stage by Tatiana Calderon. Leading the early stages was Mikkel Jensen, beating polesitter Dennis off the line at the start, with Markus Pommer and Sergio Sette Camara slotting in behind - although the Brazilian would fall down the order after serving a drive-through penalty for a clash with Dorian Boccolacci at Les Combes. 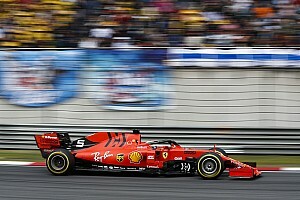 That promoted Leclerc to fourth by the time of an early safety car ahead of Calderon, the undoubted star of the first part of the race, who made the best use of her wet tyres to scythe her way through the order from a lowly 27th on the starting grid to fifth place. When proceedings resumed, the lightest of contact between Jensen and Dennis as the pair battled for the lead at Les Combes was enough to put the Danish driver into the barriers, giving Dennis the lead. 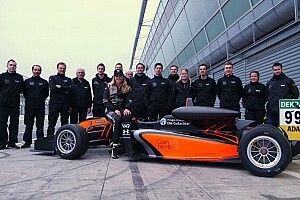 But the Brit would soon found himself powerless to resist an inspired Calderon in the wetter parts of the circuit, as the Colombian became the first female leader of a European F3 race. Dennis and Calderon exchanged the lead several more times, Dennis able to make up ground where the track was not as wet, and finally made the decisive pass approaching Les Combes as it became clear that Calderon’s strategy would not pay dividends with the track drying out. 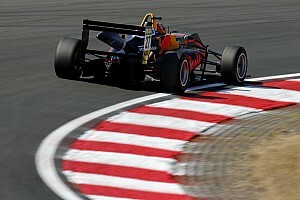 The 22-year-old gamely fought on for several more laps before biting the bullet and pitting for slicks, by which time Leclerc, Pommer, Felix Rosenqvist, Callum Ilott and Antonio Giovinazzi had all passed. That left the lead battle as a head-to-head between Dennis and Leclerc, while in the battle for third, Pommer tipped Rosenqvist into a spin at La Source in a move that earned the German, already with a drive-through penalty for an earlier clash with the Swede, a black flag. Despite having his advantage reduced by Leclerc to just eight tenths of a second at the chequered flag, Dennis was able to hang on for a second successive win and a fourth of the season. 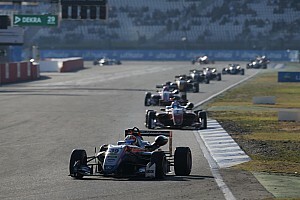 With Antonio Giovinazzi getting a black-and-orange flag for a loose front wing in the closing laps, the battle for third was between Carlin teammates Ilott and George Russell, who took the place when the Red Bull junior ran wide at Les Combes. Rosenqvist recovered from being assailed by Pommer to clinch fifth, ahead of Prema teammate Brandon Maisano, with Alessio Lorandi, Maximilian Gunther, Alex Albon and Pietro Fittipaldi all keeping out of trouble to complete the top 10 finishers. Giovinazzi finished down in 15th place, three places ahead of fellow Carlin driver Calderon, whose 18th place was scant reward for her earlier efforts.